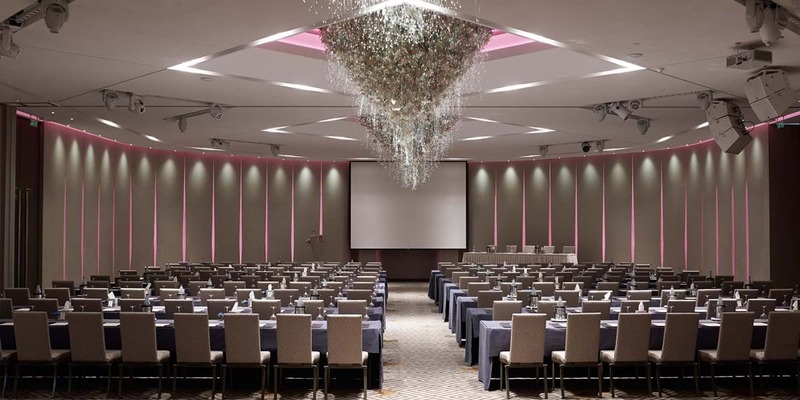 Stage your conference with confidence at one of Cyprus most prestigious venues. For over two decades our event facilities have hosted some of the most notable corporate, social & cultural events from Cyprus & overseas. With over 800 sq. meters of space and two distinctive convention rooms, events of any scale can be accommodated from a small meeting to a multinational conference, festive banquets or hi-impact product launches. Social and corporate functions gain a new dimension in the Four Seasons Ballroom. 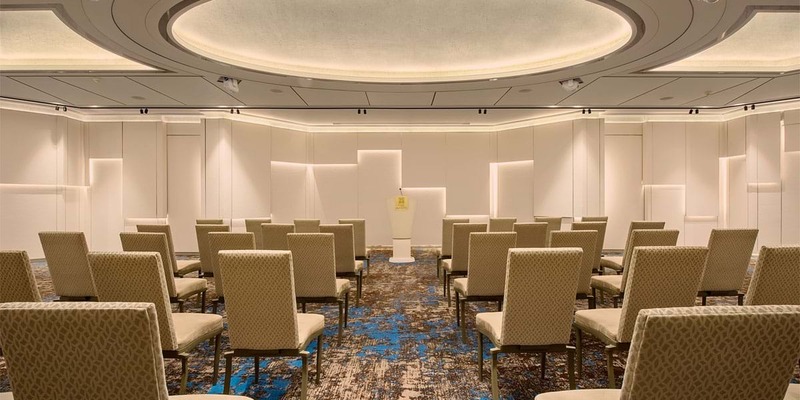 Social and corporate functions gain a new dimension in the Four Seasons Ballroom with its artistic chandeliers, metal mesh decor and LED fiber-optic lighting systems that allow unlimited variations to suit every occasion. 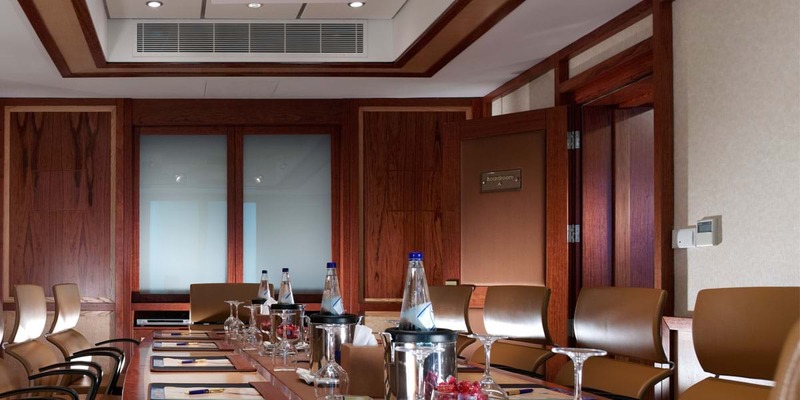 Situated on the first floor, this luxury meeting room with sea view, features an executive board table for up to 18 persons with the technical back-up to satisfy the most demanding delegates. 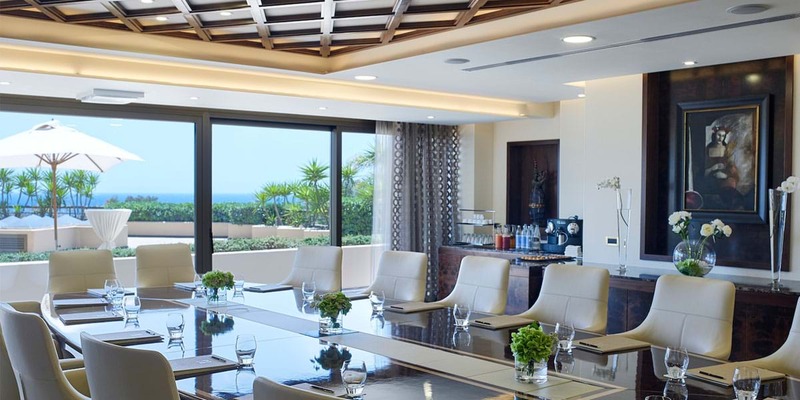 Situated on the first floor, this luxury meeting room with sea view and a private terrace for coffee breaks, features an executive board table for up to 18 persons with the technical back-up to satisfy the most demanding delegates.